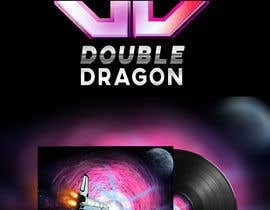 Paying attention to the graphic styles of the 80s movie posters, 80s pop advertisement, I ask you to develop a logo for a music duo called "Double Dragon". If possible, refer to the animated logo whose video I attached. The logo must be in two different kind: a static lgo and an animated logo. Logo should appear the same, but one is static (Jpg / TIff / BMP )and the other is animated (video format MP4 and WMV) . The logo , mainly, must be formed by two "D" (capital letter) matching together (as , for example, the two letters moving in the attached video clip). The light shadows also are important, both in the animated one and in the static logo too. To explain better imagine two opposite (mirror) "D" letters moving one towards the other, and making an octagon". 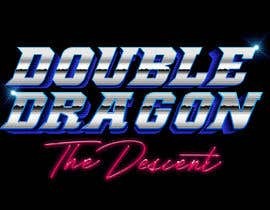 Under the "D" + "D" letters matching and making a logo, there must appear, fading in , the entire name : "DOUBLE DRAGON" (refer always to the video clip attached, consider that instead of the word "Cannon" ,you put the name "Double Dragon"
All this stuff must have a little oldish - vintage efx (like an old tv transmission or Vhs with low res). In any case, if your creativity suggest something more cool, stylish and spectacular , just do it and submit it! this message is for all people taking part to the contest. first of all , thank you for attention . Can you call me on the chat? I'm doubtful about something. 1) read carefully the description of the contest. We need an animated version of the logo, not only a static image. hi there, please review the logos our team design from #34 to #42.